New York residents will be able to buy Bitcoins from traditional ATMs with debit cards. New Yorkers will now be able to buy bitcoins with debit cards from ATMs . LibertyX will be the first company to offer this option to the citizens of New York , with the new license granted by the new York financial regulator DFS . According to Dailyhodl, Bitcoin payment services provider LibertyX opened its first Bitcoin ATM in 2014 . 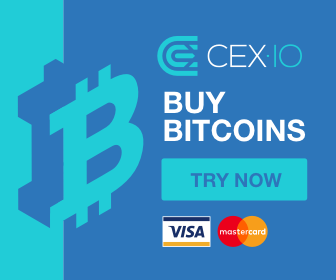 It offers hundreds of stores Bitcoin’l payment option when the company since 2018 to Genmeg the first to open the ATM debit partnership agreement made Bitcoin in the United States. With the agreement, Bitcoin will be available from 100,000 ATMs all over the country . Users need to open a LibertyX account through the mobile app to use a debit card. Approved account holders can purchase Bitcoins up to $ 3,000 a day. According to the statement, New York Financial Services Department (DFS) aims to be a pioneer in financial technology innovation. It is also stated that DFS has so far approved 16 patents and licenses. LibertyX became legally open to operate in New York with the license it received from DFS , a luxury for many developers and Blockchain -based business. In addition, there is no such clearance for Bitcoin developers who have made similar experiments in other regions or countries. In India, for example, two businessmen were detained by the police for attempting to open a Bitcoin ATM in October 2018. DFS Robinhood, on the other hand , granted Crypto a license. Residents in New York will now be able to buy, sell and store crypto money through the company’s mobile app. As it is seen in our news, it is not difficult to spread crypto coins. Only small but solid steps are required. New York citizens can now adopt more crypto coins.